Established in the year 2006, we Mansoori Weldarc India Pvt. 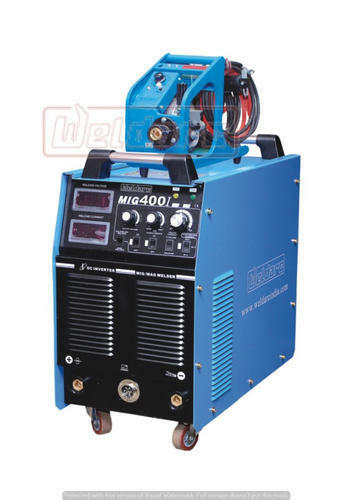 Ltd. are a prominent name engaged in Manufacturer, Exporter and Trader optimum quality gamut of Welding Machines. Our wide range of product includes CNC Plasma Cutting Machines, Welding Automation System and Laser Cutting Machine. The offered products are widely used for welding a wide range of metals like carbon steel, stainless steel and aluminum. These products are manufactured using top-notch quality raw material and advanced technology in compliance with international quality standards. Our products are highly appreciated among our clients for their features digital display for accurate parameter preset, easy to operate, durability, minimum maintenance, hassle free functionality, long service life and robust construction. Our team of quality controllers tests each product before delivering to the client in order to ensure its flawlessness. Also, we offer our products in various specifications as per the specific requirement of clients. We have established an ultra-modern infrastructural base that is spread over a wide area. In order to manage proper work flow, our infrastructure unit is segregated into different division such as manufacturing, quality control, production, R&D, warehousing & packaging, etc. These departments are well-installed with the advanced machine and technology that facilitate us in completing the urgent needs of our customer within the assured time schedules. Also, the furnished tools and machines are usually upgraded in accordance with latest industrial improvements. As a customer-centric firm, we have been able to provide maximum satisfaction to clients by delivering them an impeccable range of products within the promised time frame. Owing to our latest manufacturing processes and customization facilities, we are capable of offering products as per the varied needs of customers. Due to our vast distribution network, ethical business policies and easy payment options, we have been capable to deliver these products within time.